Object-orientation allows you to create objects within the world of your computer program that have specific and unique attributes and abilities. 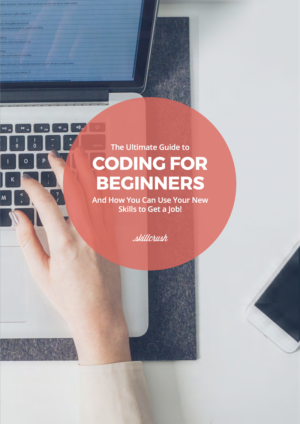 When you think about programming languages the key thing to remember is that they are languages, just like human languages, and their purpose is to provide us, humans, with a way to communicate with them, the machines. But since computers are extremely simple, programming languages also must be simple, and much of what we take for granted when speaking in our human languages must be made excruciatingly explicit. Consider this situation: I have a computer program called pets in which I wish to have my dog Lola do doggy things like bark and fetch a stick. Now, remember, the computer understands almost nothing until I explain it. So, before I can tell the computer about my dog Lola and her fancy handshaking abilities, I have to explain to the computer what a dog is. I would do this by creating the object Dog, and giving it certain attributes (name, breed, etc.) and certain abilities that are unique to Dogs (barking, fetching, etc). When programming languages are not object-oriented then there are just objects and abilities, and no connection between the two. Meaning a dog can bark, but so could a blog post. The program has no way of knowing the difference between a dog and blog post. If object-orientation makes perfect sense to you, that’s because we too are object-orientated; we understand that there are objects (dog, computer, boyfriend, tree) each with their own set of specific and unique attributes (breed, version, marriageability, deciduous or evergreen) and abilities (bark, program, kiss, defoliate). And this is why Alan Kay’s creation of the first explicitly object-oriented programming language Smalltalk was so revolutionary: it brought computer programming one extremely important step closer to the human language. 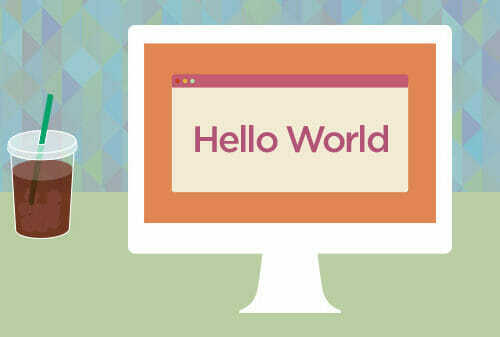 Ruby and Python, two very popular web programming languages are definitely object-oriented. And as of PHP v.5, PHP is also object oriented. Prev: Images & Video Next: Add some pizzazz to your website! In this awesome scheme of things you’ll receive an A+ with regard to effort and hard work. Where you misplaced me personally ended up being in the particulars. You know, they say, details make or break the argument.. And that couldn’t be much more correct at this point. Having said that, let me say to you what did do the job. The article (parts of it) is actually really persuasive and that is most likely the reason why I am taking the effort to comment. I do not really make it a regular habit of doing that. Secondly, although I can certainly see the leaps in reason you come up with, I am not really certain of exactly how you appear to unite your details which in turn make your final result. For the moment I shall yield to your position but wish in the near future you link your facts much better. Thank you for explaining this! Can you go into a bit more detail and/or provide an example of what a non-object oriented language looks like and how it functions? Object-oriented programming DOES seem so intuitive, so I’m trying to grasp how languages that are not object-oriented work and their value. When it comes to Ruby, you first define a class of objects (Dog) and then give it attributes & abilities. For example, I might define a function slideShow and set it to a next & prev arrow, such that when you click the next & previous arrows you advance through the slideshow. On the other hand, if I defined a Dog and a Blog post in Ruby and gave them separate abilities (known as methods), if I then tried to make a blog post bark or a Dog publish, Ruby would be like, UM, what?! That don’t make no sense! Dogs don’t publish. Thanks for the response! So then when and why is it best to use object-oriented languages in some situations or contexts and not in others? Aah! I’ve been trying to figure this out for a year and the two of you made it so much simpler. Thanks so much! by your answer, it sounds like oop is less robust, as i cant use abbilities that arent attached to the object. and with the non oop, i can attach whatever ability i want, which seems better in the view of robustness of modularity. thats off course not the case, but i guess we have to exprience the coding …. anyway, it sounds from your answer that the main differnece of oop to non oop is the abbilities attachment options to objects? In OOP you do have to declare both the data (attributes) and abilities/actions (methods) of an object with that object (or rather with the class that object is one of). In non-OOP languages you declare variables, functions and procedures but don’t have any real connection between them.. This actually makes OOP more robust in most situations. In real world software projects you’ll often be working alongside other developers, maybe using libraries that have been bought in or existing code that previous developers have written. A surprisingly common problem, when using non-OOP is that you’ll use a name for a variable which another coder has already used. If you’re lucky the compiler will catch this and refuse to compile so you’ll have to go through your code, find each time you’ve used that variable and change its name. Compilers are quite good at this now bit weren’t always and when they do catch it the error message can be unclear. If you’re unlucky then the compiler won’t catch it and your code will give the wrong results because it’s picking up a different value to the one you were expecting. You can reduce the odds of this by using local variables as much as possible, but there will still be global variables, usually to hold the data that your program is actually doing the useful work on. You also cannot be sure that where the data has only certain valid values that it is valid. In the dog example you might have a variable called hungry which has valid values of ‘Not Really’, ‘Peckish’ and ‘Very’, you can’t guarantee that another coder might not replace ‘Very’ with ‘Ravenous’ somewhere in their code and so break your code that relies on that variable. In OOP attributes tend to be local and the need for global variables is reduced by being able to use objects (so instead of using a global variable myData you have myObject.myData). You also don’t tend to set attributes directly, you make them private to the object and use setter functions. 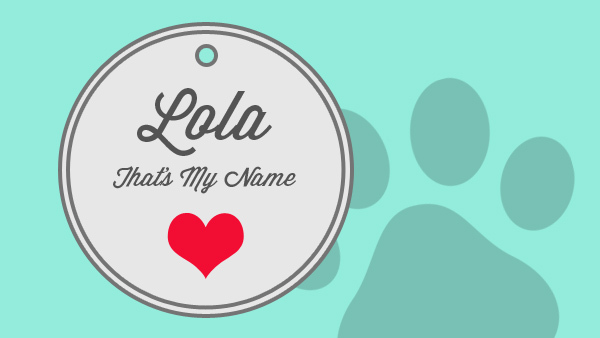 Instead of “myDog.name = ‘Lola'” you have “mydog.setName(‘Lola’)”. You’ll also need a getter function to return the attribute when you need to do something with it (e.g. display it on the screen). This might seem to be extra coding, it is, but it does mean you can include your validation code in the setter function so you’ll know the variable will always be valid, or if it isn’t that the code causing the problem is within your object’s code so there’s a limited amount of code you have to check.